Gatherings at Indian Lake, a 2018 condo development located in Hendersonville, Tennessee, invites active adults to enjoy a lock-and-leave lifestyle at this age-restricted community. A total of 54 single-level condominium flats spread out across four two-story buildings. The condos range from 1,529 to 2,031 square feet with two bedrooms, two bathrooms, and open kitchens. Optional office space adds an opportunity for an in-home work area or a spare bedroom. 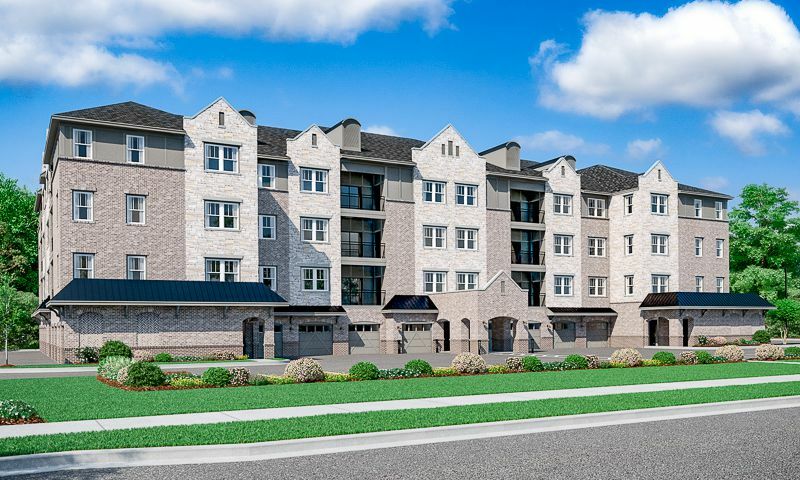 The builder, Beazer homes, adds to the convenience of condo living with private garages, covered private balconies, and elevators. The favorable location puts a variety of dining, outdoor recreation, and shopping opportunities right in the community’s backyard, which rests just half a mile from The Streets of Indian Lake, a popular shopping center. Situated northeast of Nashville, Gatherings at Indian Lake blends the best of rural and suburban living in an area renowned for its rich U.S. and music history. Homebuyers who want to downsize in a low-maintenance community near Nashville may find a lot to enjoy about Gatherings at Indian Lake. Click here for more information on Gatherings at Indian Lake. Check back soon for more information on all of the amenities in Gatherings at Indian Lake. Check back soon for more information on the lifestyle in Gatherings at Indian Lake. 55places.com is not affiliated with the developer(s) or homeowners association of Gatherings at Indian Lake. The information you submit is distributed to a 55places.com Partner Agent, who is a licensed real estate agent. The information regarding Gatherings at Indian Lake has not been verified or approved by the developer or homeowners association. Please verify all information prior to purchasing. 55places.com is not responsible for any errors regarding the information displayed on this website.